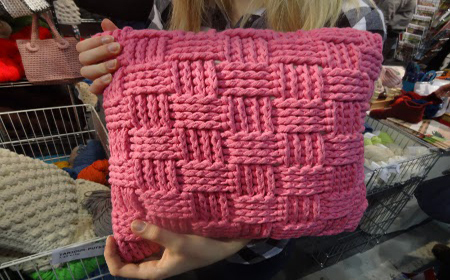 This pink pillow is made with sewn fabric braids that were intertwined, but T-shirt yarn cushions can be made in many ways: with frayed fabric strips (like rugs), with crochet XL or decorating a common pillow with strips of cloth. 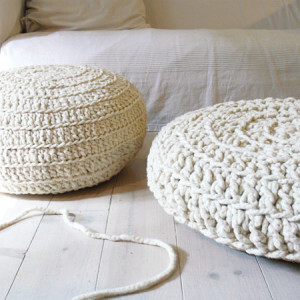 There are several possibilities to consider when making a cozy corner in our house with T-shirt yarn cushions. 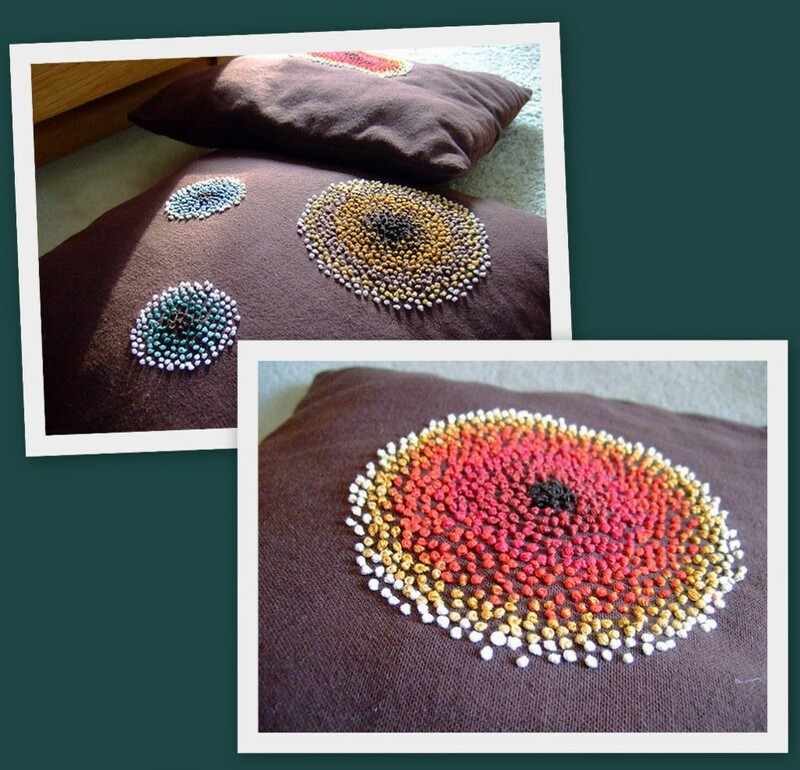 With crochet you can make very beautiful cushions. 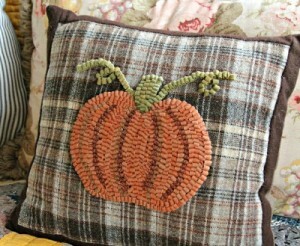 And it is very simple to make a straight seam which then sew and fill it to make a pillow. For the most advanced weavers, the proposal is to make crochet puffs. 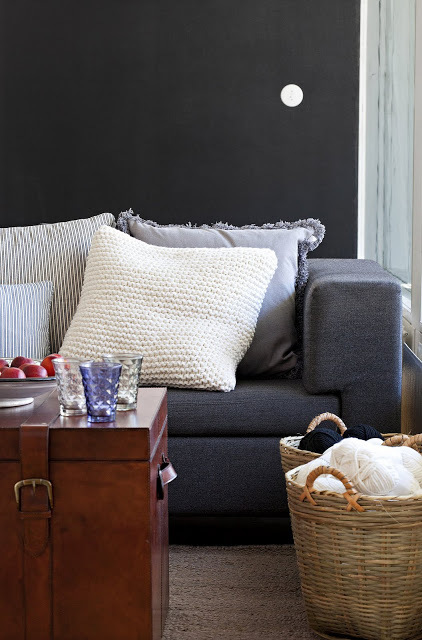 They are the latest in interior decoration because they are beautiful and very comfortable, plus, it creates a relaxed and friendly atmosphere effect. 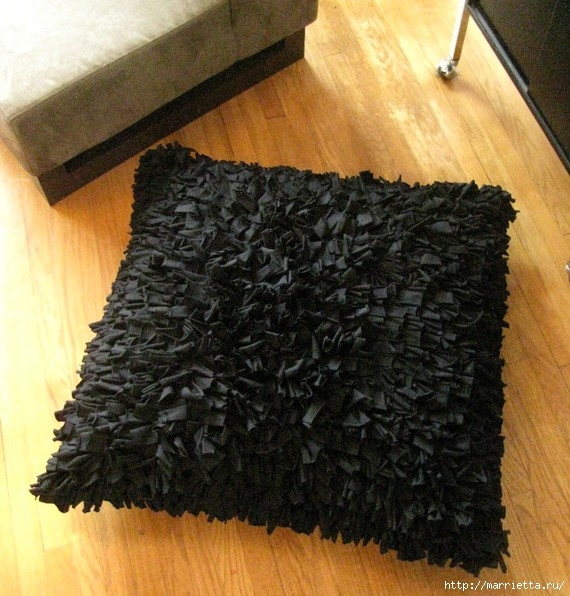 The technique to form fringed rugs is also useful for making cushions, just look at the result: very decorative and modern cushions. 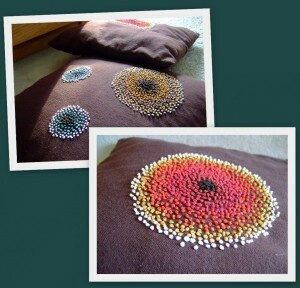 With T-shirt yarn or recycled fabric you can also decorate the cushions. And here are several ways to do it. The first model it’s doing embroidery with T-shirt yarn. Other ways to decorate cushions are in the images below. And there are many more ways to make cushions with t-shirt yarn. 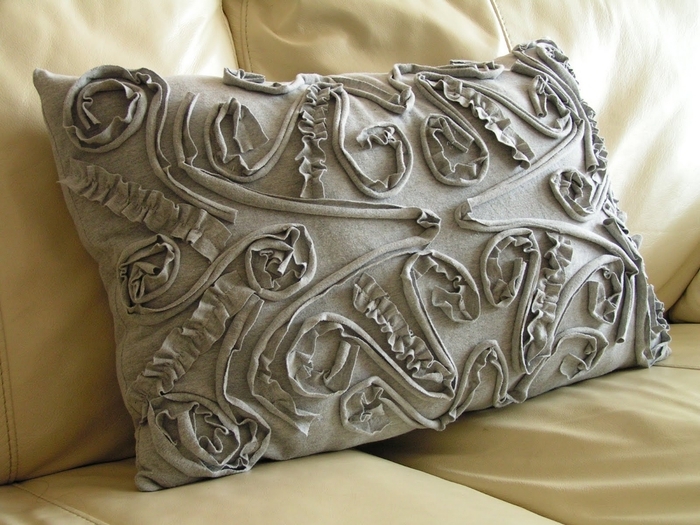 Soon we are going to share with you models of T-shirt yarn cushions with designs for children, and I warn you: they are so cute that will be hard to resist the temptation to make a few cushions for the kids bedroom. 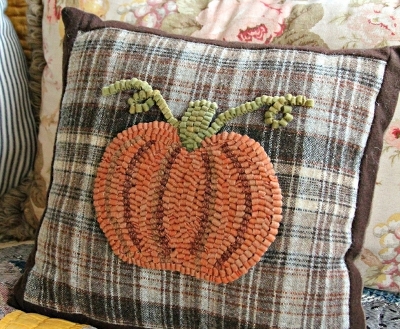 This entry was posted in Decorate with fabric and tagged decorate with fabric, ideas, models of cushions, recycled fabric cushions, t-shirt yarn cushions on October 12, 2013 by Sue.